Description: Great Adventure for the Younger Rafters – Spend a half day rafting the “Middle” section of the South Fork American River with your youngsters. Bouncy, fun, class 1 and 2 rapids will splash and crash into the raft. 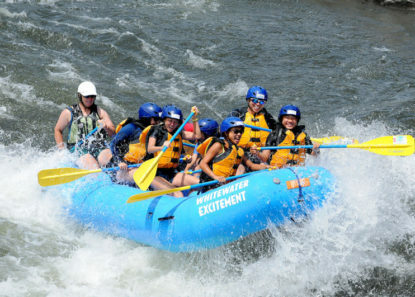 There is time to swim and enjoy the river on this 2.5 hour river rafting adventure. Our Young Rafters Adventures are for families with kids that are too young for our regular white water rafting trips. Easy and fun rapids that will give your younger rafters a taste of whitewater rafting on the American river. 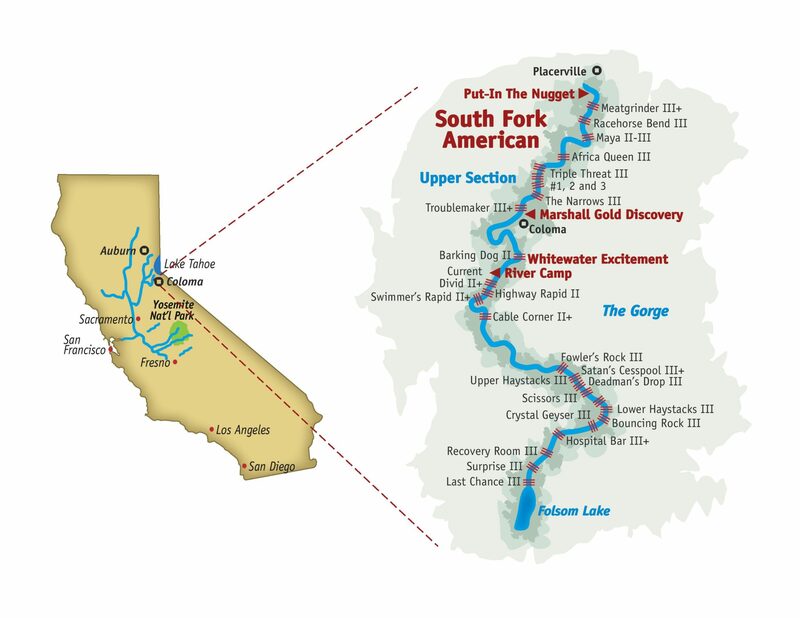 Itinerary: We begin our trip at Coloma State Historic Park, where gold was first discovered, and finish 5 miles downstream at our South Fork Basecamp. For families with younger kids, ages 4 and up, this is a great way to introduce them to rafting.